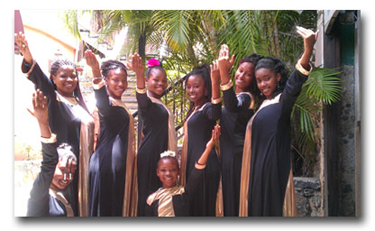 Girls Praise Dance Ministry provides young girls with a unique way of expressing their love for the Lord through dance. At various times throughout the year we present our dances to the church. Girls are encouraged to wear something comfortable (T-shirt & Tights w/ short pants over tights) you can move & stretch in (no jeans) & socks.